For almost one week you could vote for the Most Promising RPG of 2013 and we now present you the results of your votes. Wasteland 2 turned out a big success on Kickstarter, collecting over 3 times the asked sum, raising over $2.9M, which implies there are quite some fans of the genre that have faith in InXile delivering. Wasteland 2 is a sequel to the original Wasteland (1988), which is considered to be a predecessor to Fallout. The game is set in an alternate reality in which a nuclear holocaust took place in 1998 which you survived and formed a group of Desert Rangers that are trying to survive and rescue others. It has all the makings of a great role playing experience and is scheduled to be released in October 2013. Divinity Originial Sin takes place before the events of the first Divinity game and has the making of a great RPG experience like that first Divinity game. It has the humor that Larian Studios is known for, the extensive quests with multiple endings, turn-based combat and multi-player support in a game that can just as well be played solo too. In addition it is the first Divinity game that will come with a level editor that allows players to create their own content. Divinity Original Sin is self-funded by Larian Studios and hopefully is a big success so they can continue making great games. Shadowrun Returns was a huge success on Kickstarter as well, raising over 1.8 million (400K asked). It is the only game from the top 3 that will also be released for handheld devices (iOS and Android). One thing that all top-3 games have in common though is that the organizations developing the game could also be considered 'Indie' developers. They are however listed here for reasons like the large amount of funding that is involved. 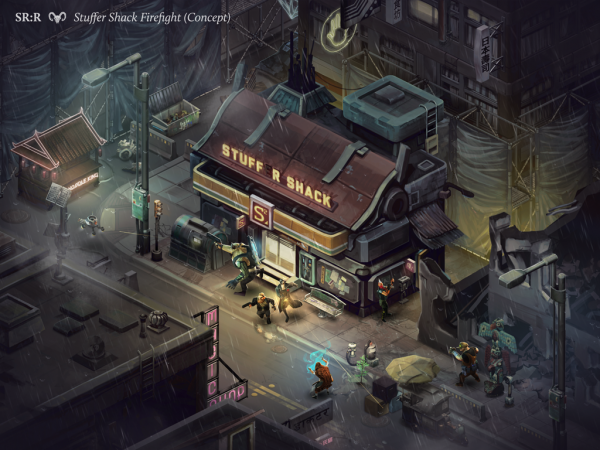 Shadowrun Returns is a 2D turn-based single player game having deep story interaction with meaningful character development and tactical combat. Next to that it will also have a level editor so people can create their own content.